Springfield Windows & Doors Improvements makes the perfect entrance for your home. Choose your own style from our extensive range of classic and authentic designs of Porches and Door canopies. Choose from different colours, double glazing options, columns, pillars and other accessories to enhance your home and suit your budget. 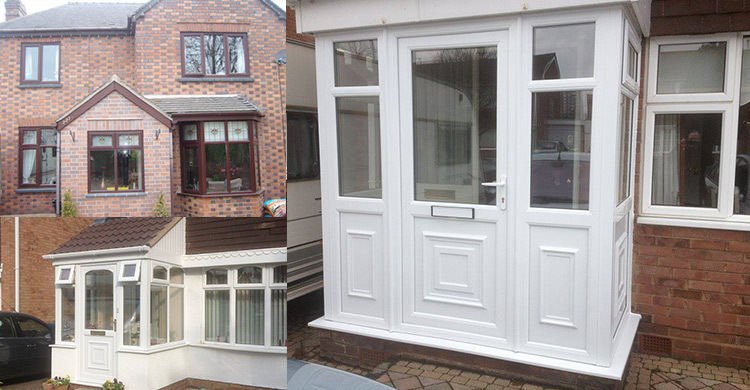 Call us on 01827 2869981 or Contact us online to find out how you can benefit from our attractive and maintenance free Porches and Door canopies.